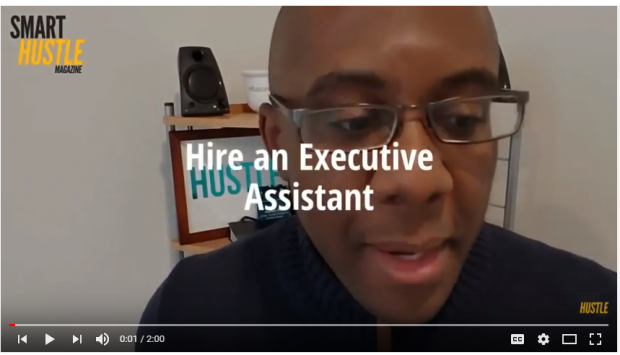 Home›Advice›The Freedom of an Executive Assistant. Hire One Today. The Freedom of an Executive Assistant. Hire One Today. As solo business owners, we get stuck. As Seth Godin says, we are the cheapest employee. However, if you want to GROW your business, if you want to get time to focus on other things, hiring an executive assistant is important. He (or she) will take things off your plate that you don't want to do (and they like doing) or that they are just better at doing. I don't use the word virtual assistant, as for many a "VA" is someone who puts business card contacts into your dataabase. YES, this can be one function of your VA or EA, but if this is all they're doing - you're missing out on their talents and skills. The first thing I started with was my calendar. My executive assistant manages much of my calendar appointments. Then we expanded to managing team members for various projects, taking care of aspects of my "online business" (posting to social media, scheduling content), event management, webinar coordination and MORE! I use UpWork and have found great professionals who have helped me grow my business. The key to finding a great professional is to KNOW what you really need. Put a job description together. Know how to measure the results of their work. Be very clear with them and yourself. Check out our full play list of One Minute Nuggets here.